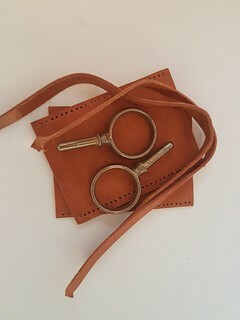 Bronze 2 1/4" oarlocks procured with leather collars... now I just need to make the oars. My plan is to make 10.5" or 11" oars with that are collapsible. Either using the DIY Harry Bryant method or the carbon ferrules. I'm currently leaning towards the former.